2018 survey available for serious purchaser, with surveyors recommendations carried out. Please ask for more details. Anti-fouled and polished September 2018 - Available immediately - lying ashore Lagos, Portugal. "We bought our Beneteau First 40 in 2009 because we were looking for a fast yet comfortable family cruiser/racer to sail out of Lagos Marina in the Western Algarve on the south coast of Portugal. The boat has sailed between the French Atlantic coast, the Spanish Atlantic coast, West and South coasts of Portugal, Andalusia in Spain - both Atlantic and Mediterranean. 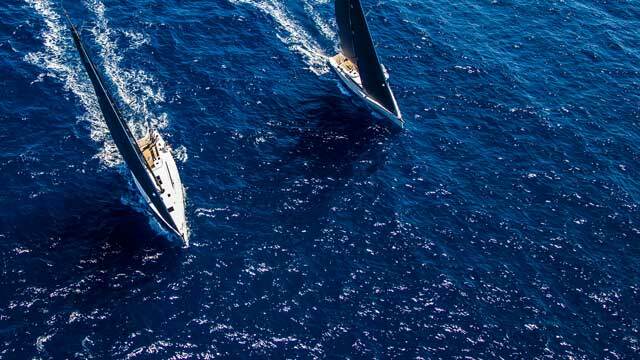 We have raced in regattas out of Lagos and along the Portuguese and Spanish south coasts. A comfortable cruiser, the boat sails very well at all points of sailing and has been greatly enjoyed by all who have cruised in her." Symmetrical spinnaker equipment, with aluminium white painted spinnaker pole. Aluminium mast by Sparcraft, with three aft swept spreaders. Radar reflector mounted on mast. Tri colour and anchor light as mast head. New hull-keel join September 2018. Engine YANMAR Diesel 40 hp - hour gauge not reading. Fridge with top opening lid. Electrical anchor windlass at bow.